WE OFFER BELL BOATING AS ANOTHER MEANS OF TRAVEL. We predominantly offer Bell Boating for Gold expeditions or schools with special educational needs but are happy to work with any group who want to use the Bell Boats for their expedition. Some people think they’re going to get an easy option with the Gold Bell Boating but we think it’s just as tough as a walking expedition and harder than most canoeing expeditions! 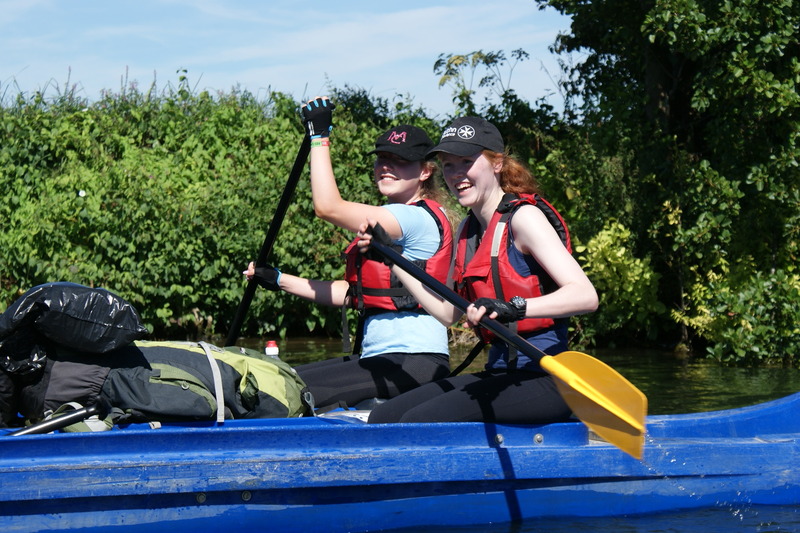 Firstly, unlike a lot of canoeing trips down the Severn and Wye, we go against the flow of the river – there’s no chance to rest and let the river take the strain! Secondly, this expedition focuses a lot on team work. On a walking or canoeing expedition if you get annoyed with your group you can slip to the back and put some space between yourselves but you can’t do that on a Bell Boat. And if you don’t paddle the team will soon get annoyed with you! But it’s a really unusual way to do the expedition and we’ve had some great aims, whether interviewing people about the boats they own or looking at erosion and deposition of the river. All of our Bell Boating expeditions can be tailored to suit your needs so please get in contact for more details or to discuss our expeditions further.